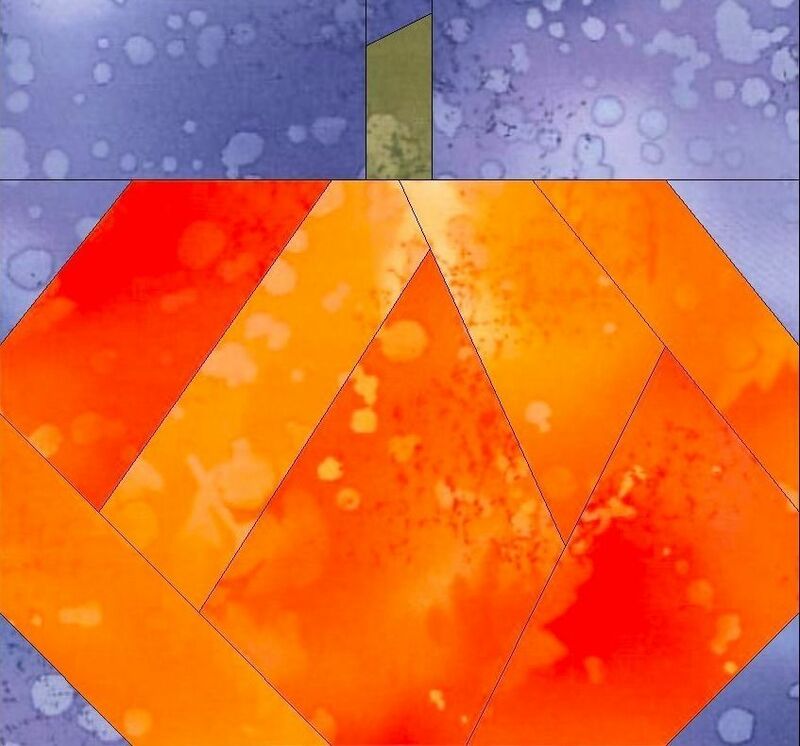 This Pumpkin block pattern can be made with expert precision by implementing the paper piecing foundation pattern that we present here. Scraps can be used or you can use materials that we have suggested. Our suggested material amounts are an over-exaggeration, so if you make a mistake you always have more fabric to work with. Our pattern makes a 9x9 inch quilting block with a 1/4 inch grace allowance. This way you can make any size quilt you desire within 9 inch increments of your desired result. Our directions will walk you through the whole process of using our pattern to make this beautiful quilting block. You should already know how to piece together blocks and it's best to know how to use a paper piecing pattern. Even if you've never used one before, we walk you through it in our directions. SIZING / FINISHED MEASUREMENTS: Finished quilting block is 9x9 inches with a 1/4 inch grace allowance for piecing. MATERIALS: Fabric in 4 different colors (1/4 yard each) or scraps. This is for the block pattern only. Because of the nature of this item, no returns are given.